Female Wilson's plover Charadrius wilsonia, photographed by Mikko Pyhälä. The genus Charadrius contains the ringed and sand plovers. 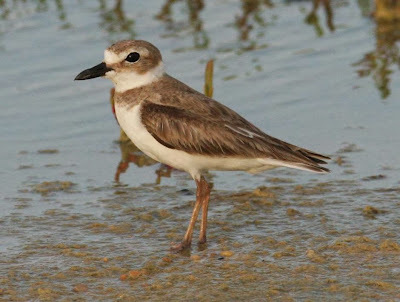 The members of this genus are small to medium-sized plovers characterised by a colour pattern with at least some degree of development of a band across the breast and/or a black forehead and black line connecting the bill and eye (Bock 1958). In some species such as the double-banded plover Charadrius bicinctus the breast band is doubled; in others such as the Kentish plover C. alexandrinus it is only partial, and does not cross the midline of the breast. 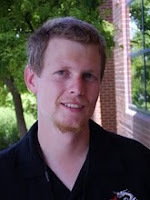 Phylogenetic analysis by Jetz et al. (2002) does not support monophyly of Charadrius as currently recognised, placing some species closer to other genera such as Thinornis and Eudromias. Bock, W. J. 1958. A generic review of the plovers (Charadriinae, Aves). Bulletin of the Museum of Comparative Zoology 118 (2): 27-97. [SS66] Sclater, P. L., & O. Salvin. 1866. On some additions to the catalogue of birds collected by Mr. E. Bartlett on the River Ucayali. Proceedings of the Zoological Society of London 1866: 566-567.